A pioneer of the British electrical industry, Thomas Parker was described by Lord Kelvin (1824-1907) as the "Edison of Europe". He was ahead of his time — a great inventor and entrepreneur. He worked on the development of public and private electric lighting systems, and he gave us electrically-powered public transport, cheap matches (by revolutionising the production of phosphorus), smokeless fuel ... and much more that changed peoples' lives for the better. As a boy, Parker was fascinated by science, and at the age of 10 he worked alongside his father at the iron foundry run by the Coalbrookdale Company (founded 1709), before attending school. A visit to the International Exhibition held in London in 1862 inspired him — he saw devices such as the telegraph and the wet battery — and the company later allowed him to develop his own ideas into products, such as the award-winning Kyrle Open Grate. 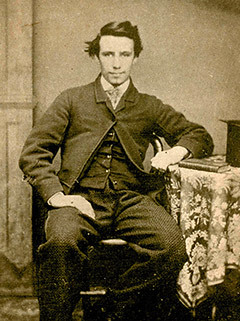 Highly regarded by his fellow workers, Parker rose through the ranks, recognised for his achievements and personal qualities. 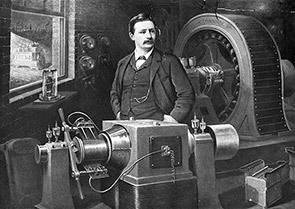 Working in the electroplating department introduced him to the electrical accumulator (storage battery), invented in 1859 by Gaston Planté (1834-89). Parker discovered that treatment with concentrated nitric acid helped the formation of the oxide layers on the lead plates of an accumulator, improving its performance. In 1882, Parker set up business with Paul Bedford Elwell (1853–99) to make accumulators, and they moved to a factory in Commercial Road, Wolverhampton. The rights to the accumulator technology Parker developed had been shared with Planté following a court case, but they were now acquired outright by Elwell-Parker. The company's greatest success with this technology was in public transport. By 1890, Parker's battery-powered trams were running in Birmingham, and his electric trams had been operating on the Blackpool Promenade Tramway for five years. Later, he would consult on London's Metropolitan Railway, helping introduce electric underground trains and influencing the choice of electric locomotives for above-ground services. Parker built an electric car as early as 1884 and before the decade was out, he was commuting to work in it — Wolverhampton's first motorist. He was always willing to develop technologies further. Improvements to the dynamo he designed enabled the development of large-scale public lighting schemes. He suggested the use of an alternating-current furnace for the Cowles process for the manufacture of aluminium bronze, which proved a great success, and later lead to a revolutionary way of producing phosphorus (for matches). He also made a notable contribution to the improvement of the electrical purification of copper. In 1889, Elwell-Parker became part of a new company in Wolverhampton, the Electric Construction Corporation (ECC), later known as the Electrical Construction Company. Parker was appointed works manager but eventually left to set up Thomas Parker Ltd for the manufacture of electrical plant. He was interested in politics and an enthusiastic supporter of the Liberal cause, joining the Liberal Party and the Executive Committee of the Borough of Wenlock Liberal Association. He contested the Parliamentary seat of Kingswinford in 1892 but was unsuccessful, though he earned the nickname Honest Tom. He later refused the possibility of a knighthood because of his radical views. A man of deep religious beliefs, his notebooks are dotted with prayers and tracts. Among Parker and his wfe Jane's nine surviving children is Thomas Hugh Parker who shared his father's passion for inventing, building a steam powered car in 1901, and later working on hydraulic brakes and four-wheel steering. Another son, Charles Parker, established the Low Temperature Carbonisation Company to produce the smokeless fuel Coalite, an invention patented by Parker senior. 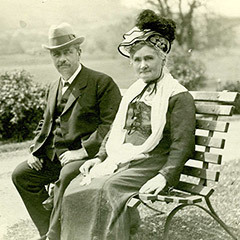 Thomas Parker returned to Coalbrookdale in 1908 when he retired. He died of myocarditis at home on 5th December 1915. Thomas Parker at about 19 years of age. 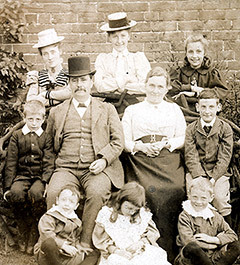 The Parker family in 1898, the year before the move to London. Ranged around Thomas and his wife Jane (both in the middle) are some of their children. From top left: Lily, Annie and Jane, then Walter beside his mother. Beside Thomas is Kelvin, with Harold below. The other two children are Eva and Bernard, Lily's offspring. Detail of a photo of Thomas and Jane Parker at Severn House, Coalbrookdale, where Parker made his home on retirement. 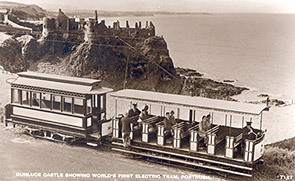 The tramway at Portrush, Northern Ireland, was world's first hydroelectric-powered tram system. In 1882, Parker was involved in the development of its electrical equipment while working for the Coalbrookdale Company, Shropshire. 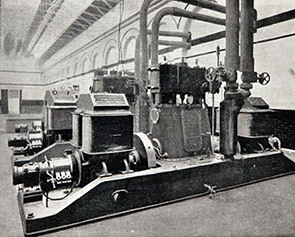 In 1888, an Elwell-Parker generator was provided. 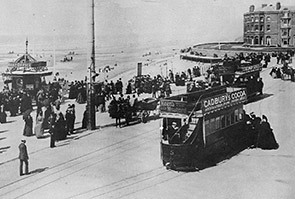 Parker's firm Elwell-Parker supplied the electrical plant for a section of Britain's first electric street tramway, the Blackpool Promenade Tramway (opened 1885). Parker was consulting electrical engineer to Blackpool's Electric Tramway Company until 1892. Thomas Parker as illustrated on a promotional card showing some of his notable inventions. He stands beside a large Elwell-Parker Patent Dynamo, and an electric tramcar is visible through the window. Among the many installations of the dynamo was the electrical system at the Trafalgar Colliery in the Forest of Dean — the first underground electrical installation in the country, if not the world. 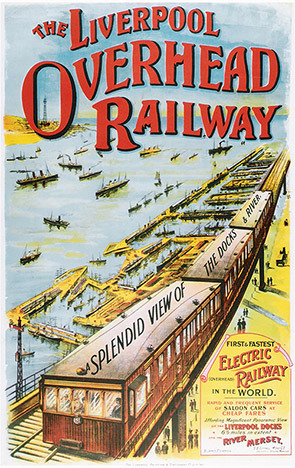 Poster for the Liverpool Overhead Railway (opened 1896, closed 1956), known as the "Dockers' Umbrella", was the world's first urban elevated electric railway. The Electric Construction Corporation (ECC), which had taken over Elwell-Parker, supplied the electrical equipment. Parker delivered a paper on the railway at the Institution of Civil Engineers for which he was awarded the Stephenson Medal and Telford Premium. 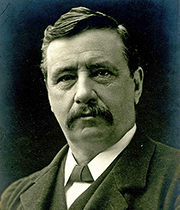 In 1894, Parker resigned from ECC and set up Thomas Parker Ltd, Wolverhampton. 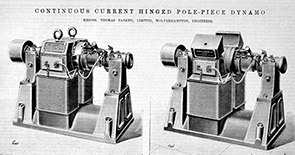 Shown is the company's Continuous Current Hinged Pole-piece Dynamo. Belfast electric lighting station (1899), using Thomas Parker Ltd's dynamos. 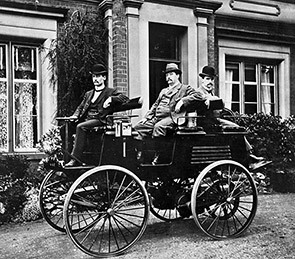 Parker and two of his sons in the second electrically-powered car he produced. The first was reportedly completed in 1884. Parker had worked on the development of accumulators (storage batteries) at the Coalbrookdale Company, taking this technology with him into his own businesses.